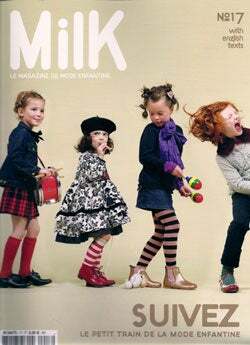 Milk is a French magazine for hip, fashionista parents. The children's clothes featured inside are made by labels like Burberry, Baby Dior, Robert Cavalli and Diesel. And, for an article on breastfeeding in the magazine's new issue, the story is illustrated with a photograph by Terry Richardson in which a new mother is pictured squirting milk from her naked breast at the camera while her baby grins. Gotta love the French! The image, after the jump.